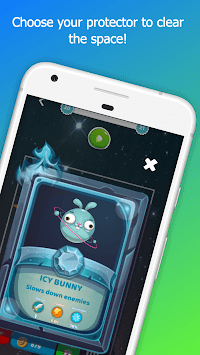 Defend the space from weird aliens in this fun, yet addictive tower defense strategy game! 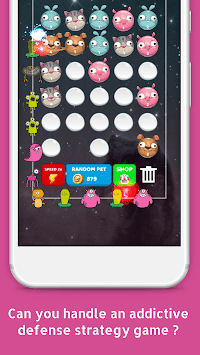 Assemble an army of earthly animals and fight off alien monsters from destroying our planet! Aliens are coming in waves and we need you to take control. Are you ready for a tactical battle ? Your defenders consist of a Crazy Cat, Super Puppy, Icy Bunny and Piggy Bank. They all have super powers to defend aliens invading our planet. But can you strategically handle the heat when enemy comes in wave ? Do you love tower defense games ? Show your courage and skills in strategy game! Space Aliens is a tactical and strategical battle game. It may look easy at the beginning but soon you'll realize that you need tactical changes to beat the enemy. 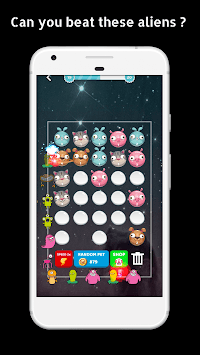 Download Space Animals now and enjoy the best among war strategy games, with aliens and animals. Defend planet earth from alien invasion now! Warning! This tower defense game is highly addictive! We invite you to play one of the most addictive defense strategy in the mobile games industry.